Mulayam Singh Yadav Thursday asked Samajwadi Party workers to create a situation in which no government can be formed at the Centre without its support. Lucknow: Openly batting for the party he founded, Mulayam Singh Yadav Thursday asked Samajwadi Party workers to create a situation in which no government can be formed at the Centre without its support. The leader is often seen balancing his relations with son Akhilesh Yadav who now heads the SP and his brother Shivpal Singh Yadav, who has floated a rival party. Both parties organised separate events Thursday to mark the patriarch's 79th birthday. "I ask you to fix my programmes at the commissionerate level, I will be there, he told SP office bearers, hinting at his willingness to campaign for the party. I ask you all to take a pledge that in the days to come, besides forming the government in UP, we have to create such a situation in Delhi that no government can be formed without the SP. This is my request to you," he said at the SP headquarters where he also cut a cake. Asking SP workers to adopt the habit of reading and writing, he said, There is collection of my speeches in Lok Sabha and Rajya Sabha and as a defence minister, and the workers should read them." He said when he was defence minister, we chased away China and Pakistan . It needs courage, he said. You all should follow the path of justice and stand up wherever there is injustice against anyone," he said. 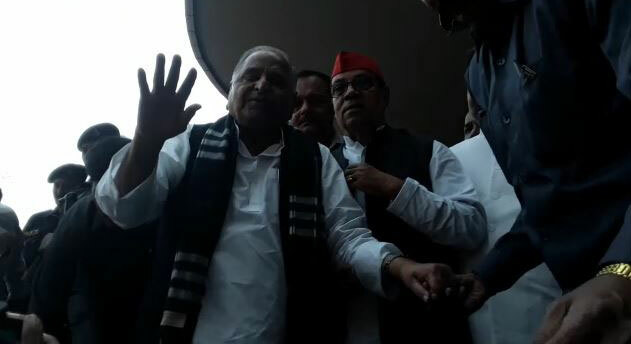 Party president Akhilesh Yadav was not present at the event as he is campaigning in the Madhya Pradesh elections, but he tweeted a photograph with father Mulayam Singh Yadav wishing him on his birthday. "I congratulate 'Netaji' on his birthday. He taught us all to follow Gandhiji's path of truth and non-violence, Lohiaji's ideology of identifying ills to remove them and also that trust is the biggest wealth in human relations," the former Uttar Pradesh chief minister tweeted. 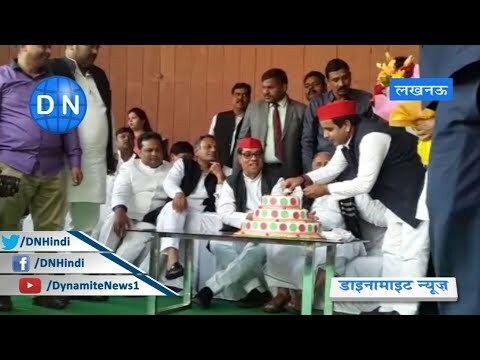 Shivpal Yadav's newly formed Pragatisheel Samajwadi Party (Lohia) celebrated the birthday at its headquarter in Lucknow, and in the districts. PSPL workers organised blood donation, sweets distribution and other events, observing the day as "Dharma Nirpekshta Divas" (Secularism Day). The party also organised a wrestling 'dangal' in Mulayam Singh Yadav's native Saifai in Etawah district, honouring the leader as a former wrestler. Shivpal Yadav was there as chief guest. While wishing his brother on his birthday, he reiterated that he had formed the new party with Mulayam Singh Yadav's blessings. Both factions have repeatedly claimed that Yadav's "blessings" are with them.